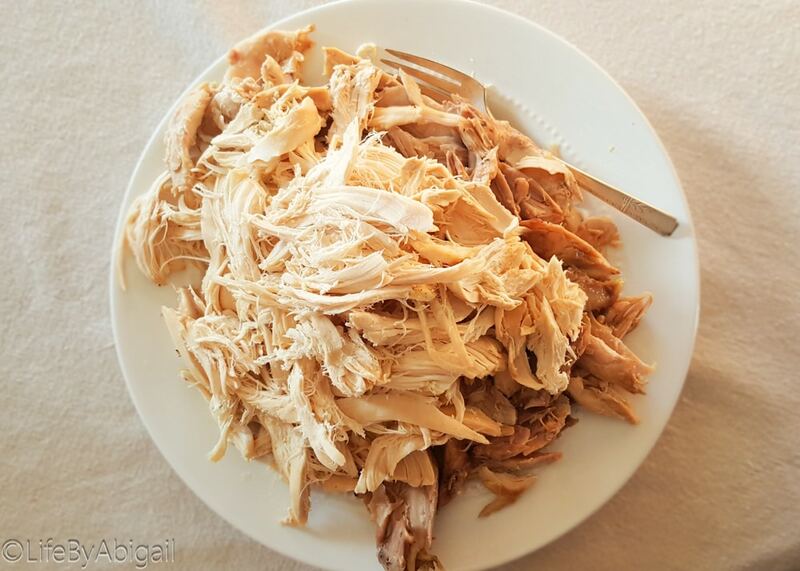 Rotisserie Style Slow Cooker Chicken is one of my favorite ways to cook a whole chicken because it’s so easy and fast to prepare! 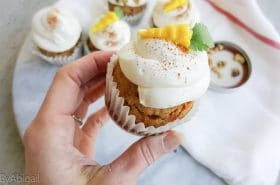 This is a “prep & leave” recipe, requiring just a few minutes of prep and then you can leave the slow cooker to do its magic! Chop half of large onion, or 1 small onion, into 1” thick rounds. Arrange rounds in the bottom of the crockpot to create a “bed” for the chicken to sit on. Sit chicken on food safe surface or cookie sheet with sides to catch any liquids. Dispose of wrapper and any giblet packet that may be inside the chicken cavity. Stuff chicken with remaining onion (chopped in large chunks), garlic cloves, and 1 large bay leaf. 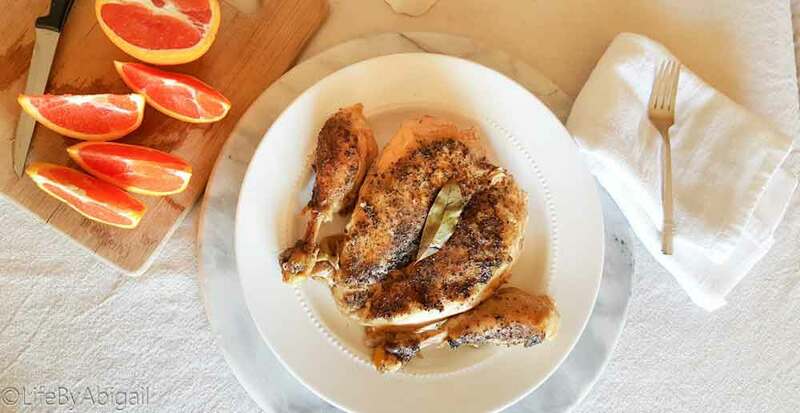 Squeeze fresh lemon juice over chicken and then place the lemon rind inside the chicken with the onions, garlic, and bay leaf. Cover entire chicken with freshly ground salt and pepper, garlic powder, Italian seasoning, and a light dusting of cayenne. For a more robust flavor, rub some of the seasoning underneath the skin so that it will absorb into the meat while the chicken roasts. 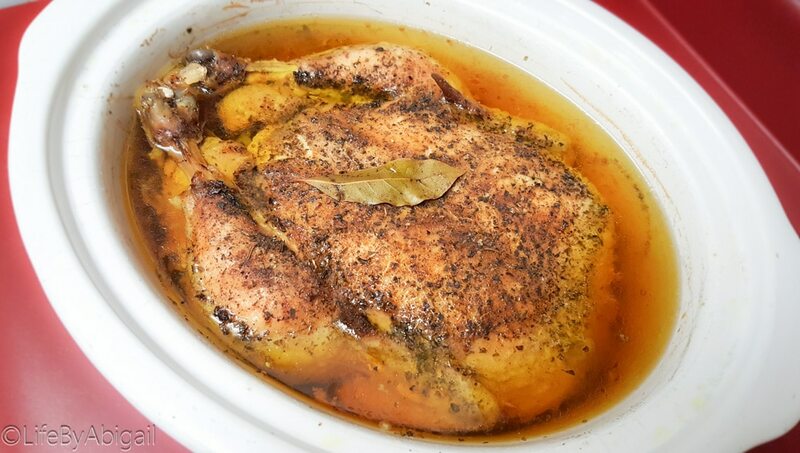 Place seasoned and stuffed chicken on bed of onions in crockpot. The chicken will hold the onion rings down when you add liquid, otherwise they would float off the bottom surface. Being careful not to pour on the chicken, add your water or chicken broth to the crockpot until 1-2” deep of water lines bottom. You do not want too much liquid. I only use 1 to 1 ½ cups of liquid in my crockpot. Place a bay leaf on top of chicken and cover securely with lid. 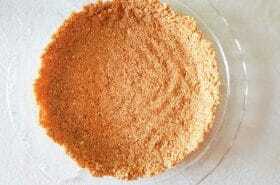 Cook on Medium-High for 6-7 hours or until tender and no pink flesh or red juices are visible when tested with fork. For longer cook time, set slow cooker to low for 8+ hours. Chicken will be very tender and fall off the bone easily. Using pot holders, carefully pour off liquid into a bowl covered with a strainer to use for a chicken stock later (see this recipe for details! ), or simply dispose of down the drain. Using 2 large spatulas like tongs, carefully transfer chicken onto a serving platter or cutting board. Cook times will vary depending on the size of your chicken and crockpot. The above times were based on a 6lb. Chicken. 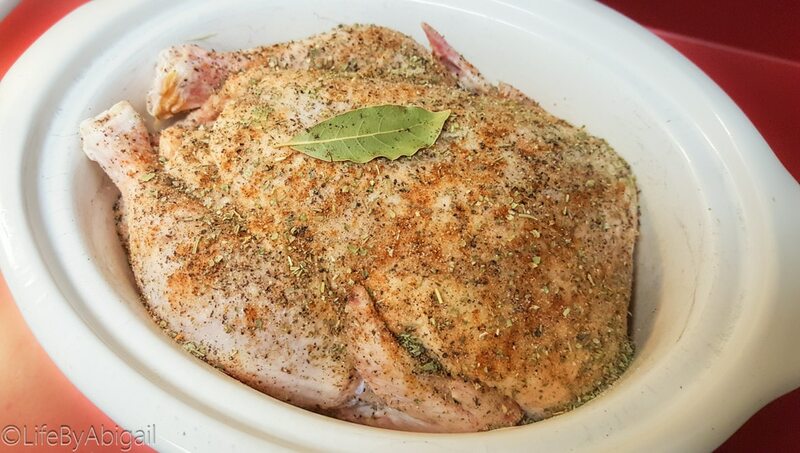 When in doubt, allow chicken to roast in crockpot on low or medium heat and check hourly after 4 hours for small chicken or after 5 hours for larger chickens. 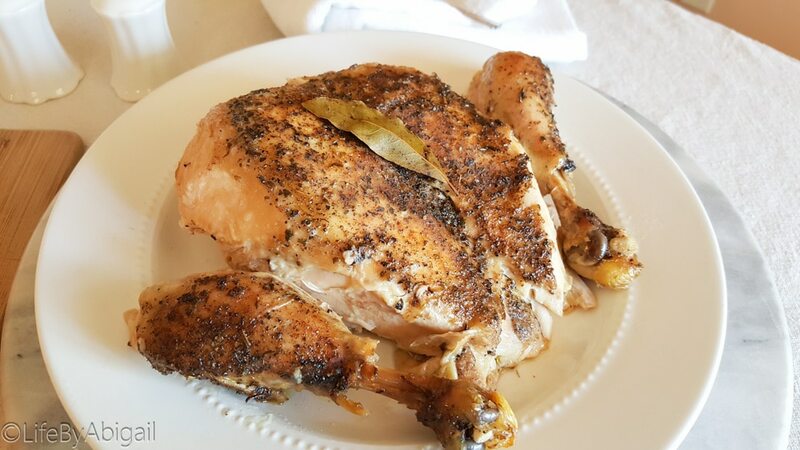 If you’ve ever looked at the whole chickens on sale at the store and thought “uhh, that’s such a great price, but I don’t want to deal with the hassle of cooking it”- this recipe is for you! 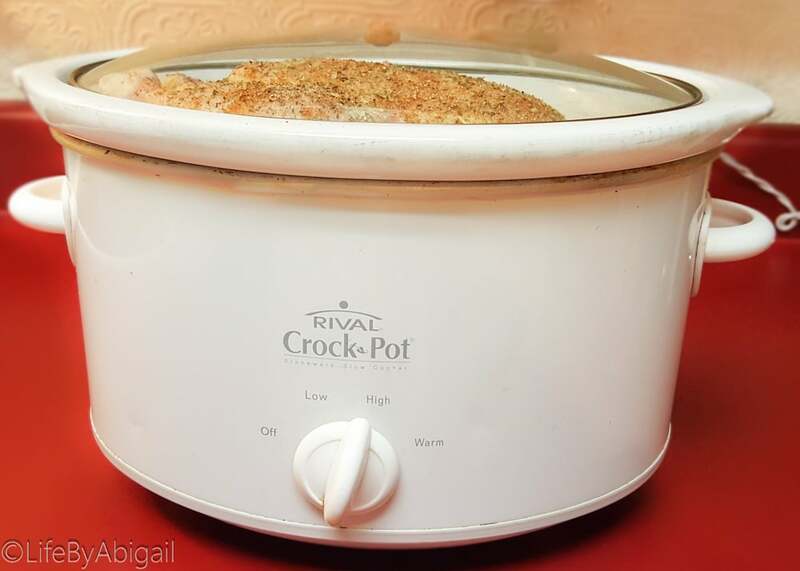 If you have a newer slow cooker, you may even be able to set your cook time so that your slow cooker will turn off after 7-8 hours. Even easier!! This is a great recipe for Food Prep Sunday! If you’re feeling really resourceful, you can even use the chicken bones to make your own bone broth for later like I do in this recipe! 😀 You may also want to check out my tips & recipes for perfectly easy hard boiled eggs and fluffy gluten-free protein pancakes! 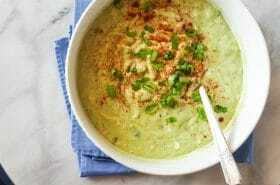 Both recipes are great to make ahead and make hectic weeks a little easier! 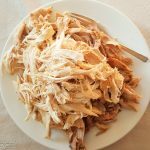 This rotisserie style slow cooker chicken is fabulous on its own or used as shredded chicken in other main dishes like enchiladas, chicken soup, or creamy pasta dishes! 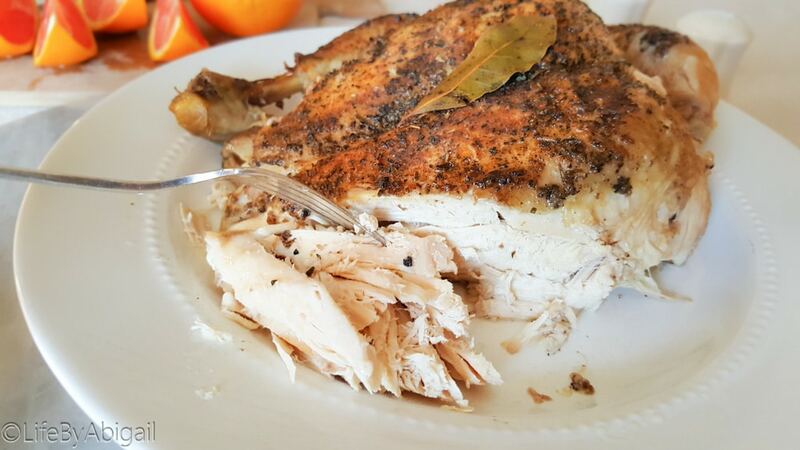 We love the meals we can create with this easy rotisserie style slow cooker chicken! I’m always on the hunt for new crock pot recipes. I’ll definitely have to try this after we go shopping next week. Thanks for sharing. We had this last night and used a BBQ rub. Delicious. Hi! 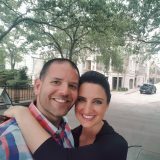 Found our blog through #June10kChallenge. I love to use my slow cooker a lot in summer. I make whole chicken in the ven but this is such a great idea. I will try this soon. Thanks. Your photos and descriptions are wonderful. This looks like an awesome recipe to try and the chicken looks so moist. I’ve saved it for later to try. Can’t wait.